confusing his quiet humility for indecisiveness. he could have opted for a lazy life of luxury. Instead he chose to serve. for military service during World War II. the youngest fighter pilot in US Navy history. and married his high school sweetheart. would remain married for over seventy years. he became a Texas Oil Man. spreading awareness for humanitarian causes. President George H. W. Bush served our nation with extraordinary integrity and grace. 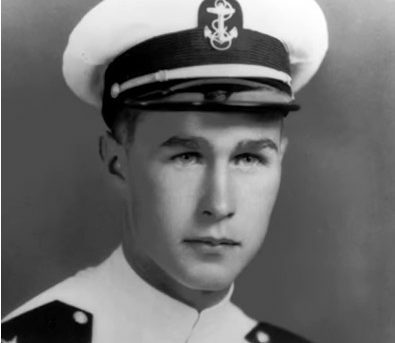 America has lost a patriot and humble servant in George Herbert Walker Bush. Rest in peace, Mr. Bush--in the peace you were instrumental in creating. "Fair winds and following seas, shipmate. We have the watch."